This guide will help you install Sj DJClassifieds Super Category step by step. 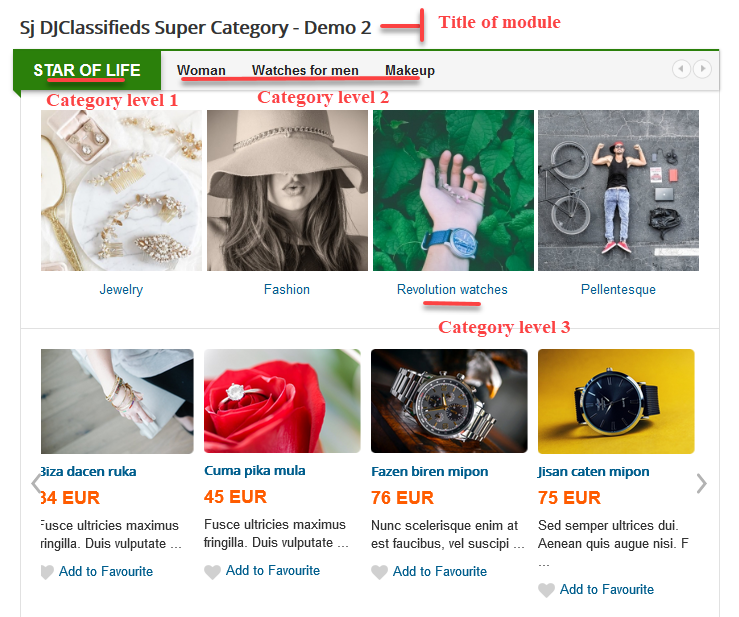 After installing, go to Extensions -> Module Manager and find Sj DJClassifieds Super Category to configure. Select Category – Allow you to select Category. 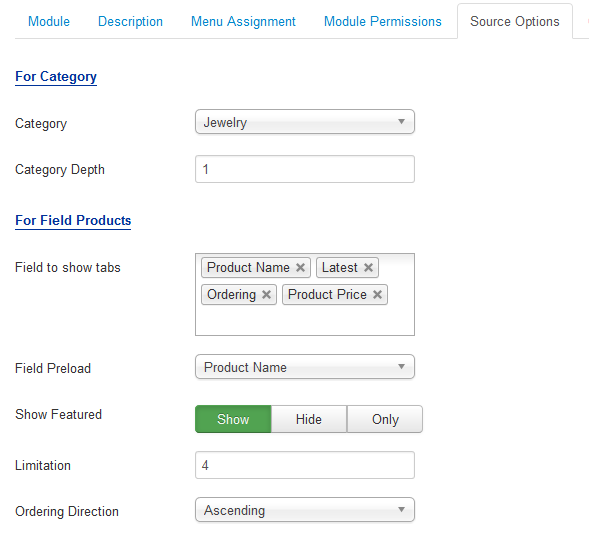 Field Preload – You can choose the field which you want to show by the first. 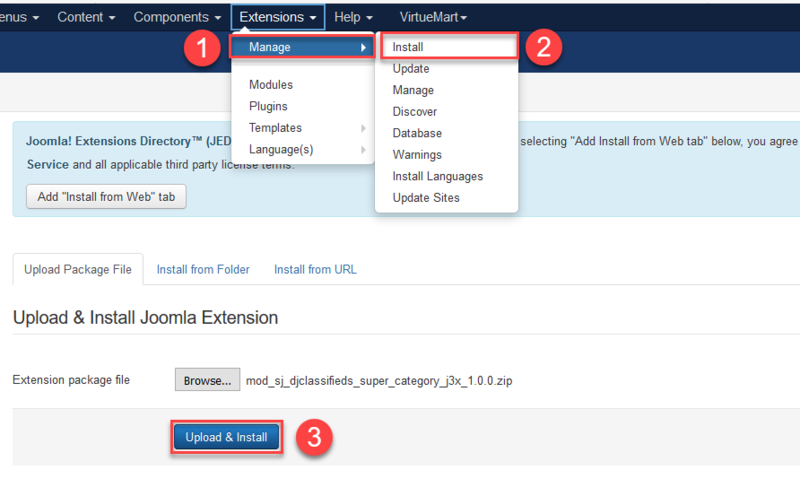 Show featured – Allow to select to show, hide or only display Featured products. Category title maxlength :The maxlength of Category’s title. Set “0″ to show full title. Display Title Sub Category – Allow to show/hide title of sub category. 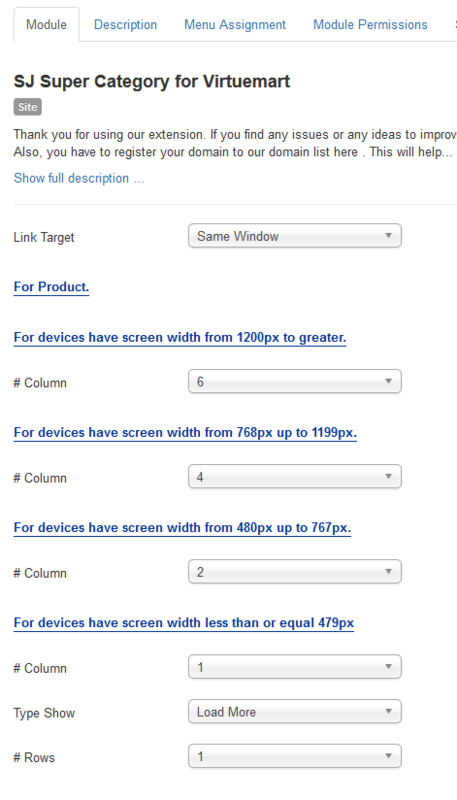 Display slide category – Allow to show/hide slider of category. Sub Category Title Maxlength: The maxlength of Sub Category’s title. Set “0″ to show full title. Title Maxlength – The maxlength of product’s title. Set “0″ to show full title. 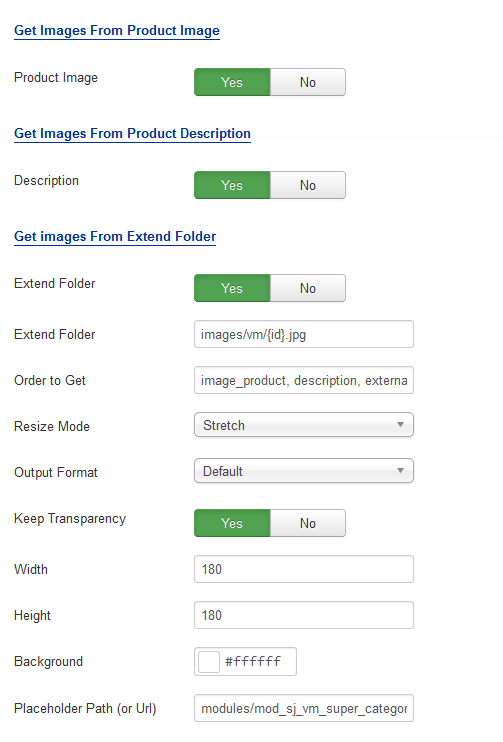 Display Description – Allow to show/hide Description of product. Decription Maxlength – The maxlength of product’s decription. Set “0″ to show full title. Display Create Date – Allow to show/hide Create Date of product. 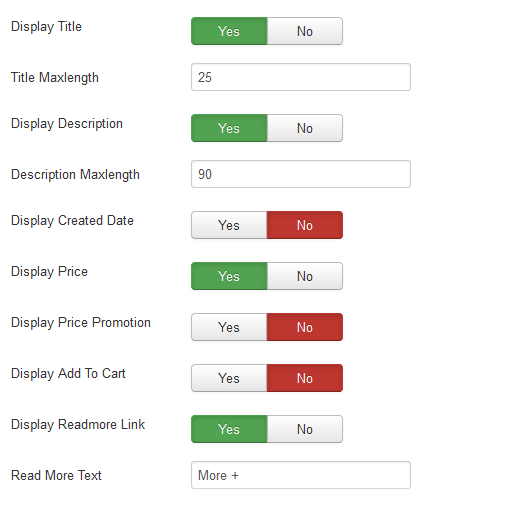 Display Price Promotion – Allow to show/hide Price promotion. Display Readmore Link– Allow to show/hide Readmore Link. Read More Text – Allow to set Readmore text. 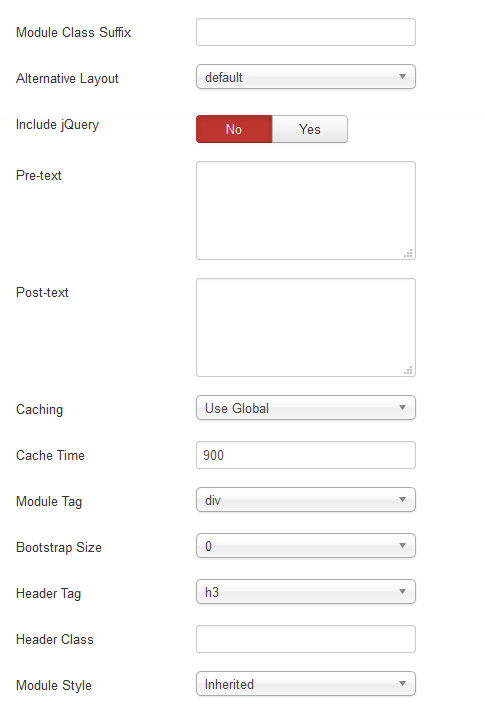 Effect – Allow to select effect of module in list box. For Sub Category/For Type Show Slider. Center – Allow to show/hide class center for slider. Display Loop – Allow to run a loop or not. Margin Right Sub Category – Allow to set margin right for sub category. Auto Play – Allow to Enable/Disable auto play or not. Auto Interval Timeout – Allow to set auto interval timeout of slider or not. Auto Hover Pause– Allow to pause effect when the user hovers. Navigation Speed – Allow to set speed of navigation. Smart Speed – Allow to set speed on smart devices: iphone, ipad…. Pull Drag – Allow to Enable/Disable pull drag.